WHAT IS CITROËN SIMPLYDRIVE AND HOW DOES IT WORK? With SimplyDrive you can drive a new Citroën every 3 years. Select the Citroën vehicle that’s right for you. Choose your annual mileage (6,000 to 30,000). Select the amount you wish to contribute as a deposit (between 0% and 40% of the vehicle price). We will calculate the monthly payment for the full 3-year term of the agreement. Your monthly payment will include a contribution towards the cost of your motor insurance. This is based on the age of the youngest driver, your residential postcode and model selected. Additional charges may apply at the end of the contract subject to the vehicle condition and excess mileage. Citroën has developed SimplyDrive, available to those from 18 years of age, to offer customers an alternative finance option that provides a brand new car with three years of motor insurance, routine servicing, roadside assistance, warranty and road fund licence, all included in one fixed monthly payment. At present, CitroënSimplyDrive is only across the Citroen Range (excludes DS models), funded on Personal Contract Purchase (PCP). 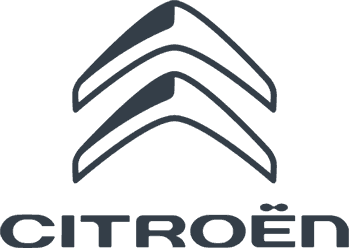 FAQs and further details are available on the Citroën website. *Excesses, limits on age, convictions/claims apply. Telematics Box, consent to Data capture and transmission required. Insurance subject to cancellation for four warnings for poor driving or Min 2 years full UK driving licence for all drivers & policyholder must have 2 years NCD to use on the vehicle. Motor insurance is provided and underwritten by UK Insurance Limited. 3 days' free European Motor Insurance per trip included on request. Additional premium payable for further cover. Maximum 90 days European cover per policy year. Citroen SimplyDrive Personal Contract Purchase finance subject to status. T&Cs apply. 18s+. A guarantee may be required. PSA Finance UK Limited RH1 1QA. Citroen UK Ltd are acting as a credit broker and not a lender. TO finance your purchase they will introduce you to PSA Finance UK Limited.